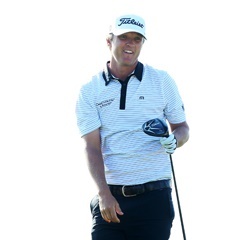 Miami - Australian Matt Jones set an early target with a six-under par 66 and ended on Thursday in a three-way tie for the lead in the PGA Tour's Corales Puntacana Resort Championship. Jones hit 13 of 14 fairways and 15 greens in regulation as he fired seven birdies with one bogey in his opening effort. He walked off the course with a three-stroke lead, but was joined on six-under at day's end by American Joel Dahmen and Ireland's Paul Dunne. "I hit a lot of quality iron shots and got it close to the pin," said Jones, who is coming off a tie for 13th at the Valspar Championship. He said he benefitted some from an early start, with the wind picking up in the afternoon. "Six-under was a good score - that was probably the worst score I could have shot today," Jones said. Dahmen teed off on 10 and was one-under through 12 holes, but he roared home with birdies at five of his last six holes. Dunne also opened on 10 and was one-under at the turn before making five birdies coming home. The top trio was one stroke clear of South Korean Im Sung-jae in the tournament played opposite the elite WGC-Match Play in Austin, Texas. Former Dallas Cowboys quarterback Tony Romo, making his third PGA Tour start in the same event where he made his first last year, carded a seven-over 79. Romo, who competed on a sponsor exemption, bogeyed three of his first four holes followed by a triple-bogey on the eighth. He was one-over on the back nine with a bogey at 13 and was unable to convert No 8 to finish the front nine 6-over. The 38-year-old was 1-over on the back nine with a bogey on No. 13. Romo was unable to convert a birdie chance at the last. "I think I played much better this year so far coming into the tournament than I did last year and I also think I've improved a lot in certain areas," said Romo, who was in the spotlight but also in third-from-last place. "But sometimes the score doesn't show that so there's disappointment with that I feel like. "I think I'm going to play a little better tomorrow. There (are) some good signs of life."